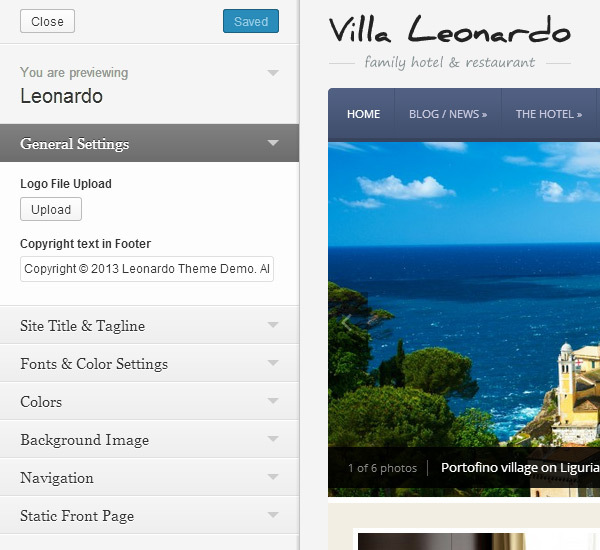 Below you will find information related to Leonardo WordPress theme. 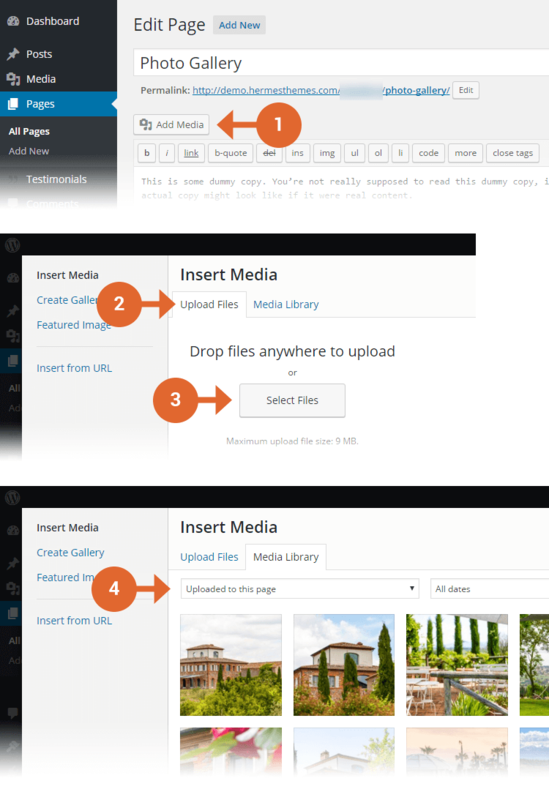 1000×400 – used for the slideshow on homepage and single post/page pages. 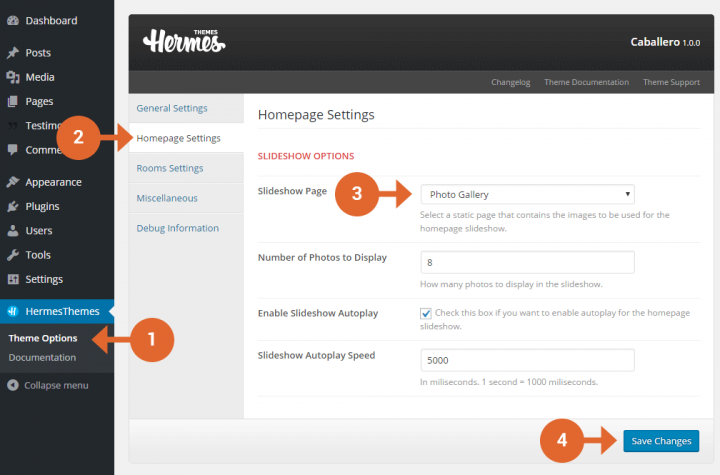 300×200 – used for the 3 featured pages on the homepage. 295×170 – used for attraction thumbnails, room thumbnails and some archive pages. 180×110 – used in the Gallery custom page template. 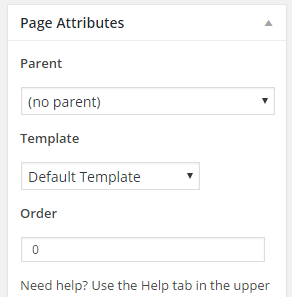 140×85 – used in the Recent Posts block as well as category archive pages.